Looking for a unique gift for someone special in your life? Why not send a gift that plants a tree and helps the environment? It will delight your loved one to know that their gift will benefit nature and wildlife for many years to come. Each of the unique gifts below plants a tree, while giving you something tangible for that awesome element of surprise we all love. Simply choose the gift that appeals to you, personalize if needed, and we'll take care of the rest! 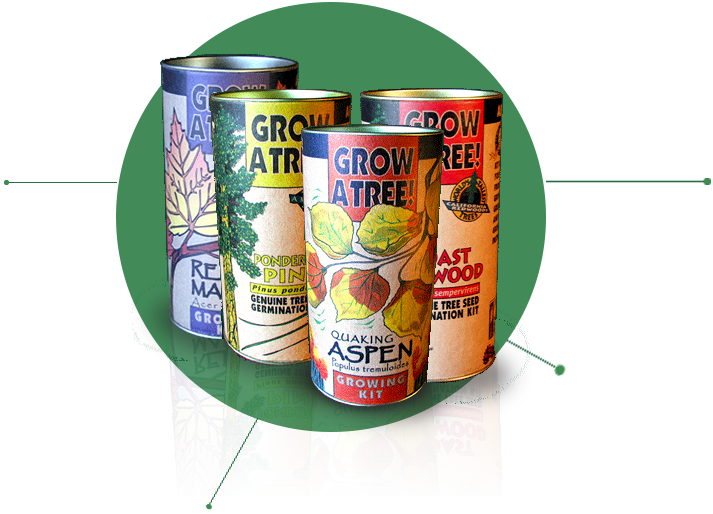 Experience the magic of growing a tree from seed! Each kit comes in a with instructions & everything you need. Choose your species! 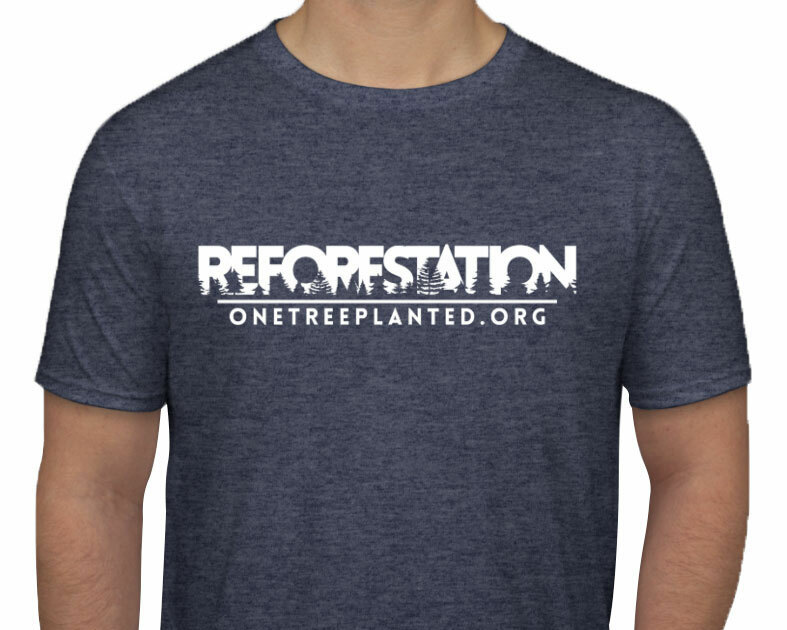 Our comfortable Reforestation T-shirt is now for sale! It's soft, super comfortable, and has a great unisex fit. Each T-shirt plants 1 tree. 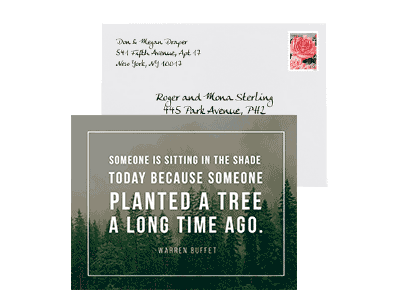 Send a personalized Tree Quote card. Choose from inspiring quotes about trees and write your own message inside. Each card plants 1 tree! 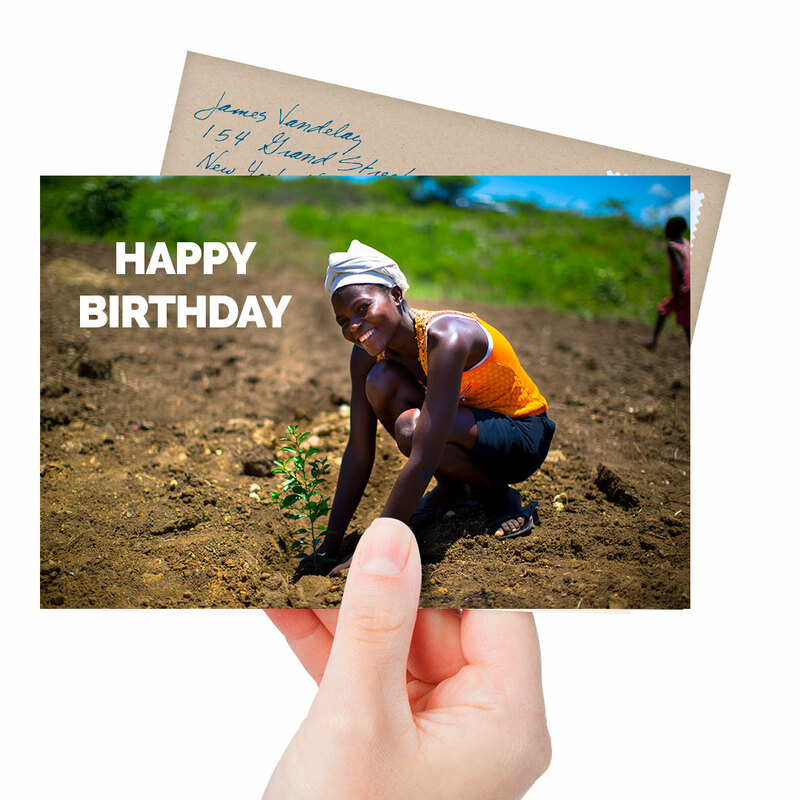 Plant trees as a gift and send a custom card on 100% recycled paper. Write your own message on the front and inside. Each card plants 1 tree! For every gift purchased, we'll plant one tree!